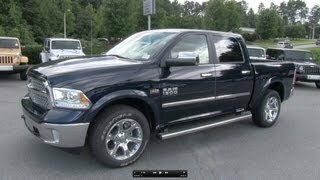 As expected, Dodge was present at this year's New York Auto Show where the Dodge Ram 1500 2013 was officially unveiled. Interestingly enough the upcoming Dodge Ram 1500 received a new engine, an additional choice in terms of transmission and the optional air suspension. First things first so let's take a look at what choices are given to us by the new Dodge Ram 1500 in terms of engine variants. Interestingly enough the 3.7 liter V6 has been ditched and replaced by a 3.6 liter Pentastar engine which develops 305 horsepower and 269 lb-ft of torque, which is a huge step-up compared to the 215 horsepower 3.7 liter V6. The new 3.6 liter will be paired with a ZF eight-speed automatic transmission which is very similar to that found in the V6 Chrysler 300 and the Dodge Charger. Another option in terms of engine variants comes in the form of a more powerful 4.7 liter V8 that produces 310 horsepower and 330 lb-ft of torque. The 4.7 liter engine will be mated with a six-speed automatic gearbox. 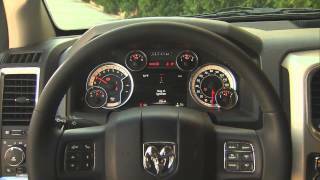 In addition, for those who would prefer a beefier pickup, the 5.7 liter HEMI V8 engine will be available on the Dodge Ram 1500 2013. The HEMI V8 will be complemented by the same gearbox found in the 3.6 liter variant. As mentioned before, the Dodge Ram 1500 2013 will feature air suspension as an optional extra, offering five height settings: two off road modes, one aero mode and a parking mode. The changes brought to the exterior of the new Dodge Ram 1500 are somewhat shallow, the biggest change being the new redesigned grille and an optional LED package for the parking and turn signals. However Dodge focused a bit more on the interior of the new Dodge Ram 1500 and is now offering higher quality soft-touch materials, new color themes, an 8.4 inch Uconnect infotainment system, redesigned climate controls, a new center stack and a 3.5 or 7 inch screen fitted in the instrument cluster. 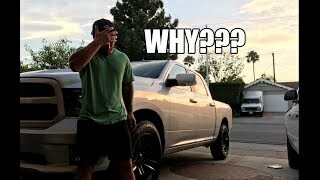 It all sounds good but unfortunately you'll have to wait a bit longer before you'll be able to find out anything official regarding the new Dodge Ram 1500 price. 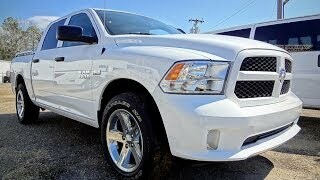 As for availability, the new Ram 1500 is expected to hit the market during this year's second half. 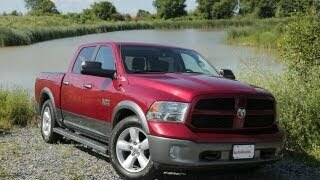 Until then you'll have plenty of time to choose between the Dodge Ram 1500 2013, the Ford F-150 or the Nissan Titan.